For the eighth time since 2004, Florida State will be scheduled to open its season on Labor Day. That won’t be the case this year against Alabama, but it will in 2018 as the Seminoles host Virginia Tech on Sept. 3. The news was first reported by Warchant early Wednesday morning. 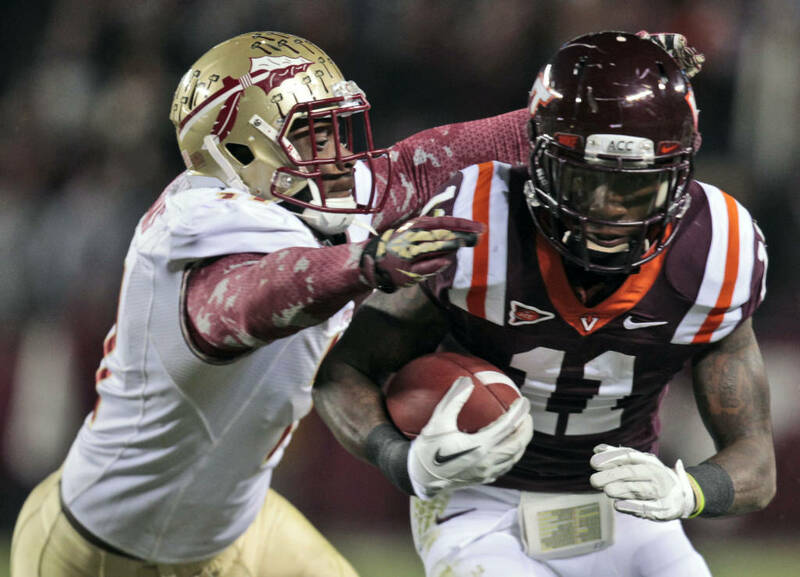 The match-up will be the first between FSU and Virginia Tech since 2012 when the Seminoles rallied to defeat the Hokies on a Thursday night in November at Lane Stadium, 28-22. Rashad Greene scored the game-winning touchdown from 39 yards out with less than a minute remaining. In seven previously scheduled Labor Day games since 2004, the Seminoles are 4-3 and 2-0 under head coach Jimbo Fisher. This past season, FSU rallied from 22 points down to beat Ole Miss in Orlando, 45-34. The 2004 scheduled contest with Miami was pushed back to a Friday night as a result of weather. Since Virginia Tech entered the ACC in 2004, the Hokies are 2-3 against FSU with two of those contests coming in the ACC Championship. The teams have not met in Tallahassee since 2008 in a 30-20 FSU win.